I came across this scene while hunting for a great sunrise spot in the Berkshires. It was an overcast morning with no sky showing. 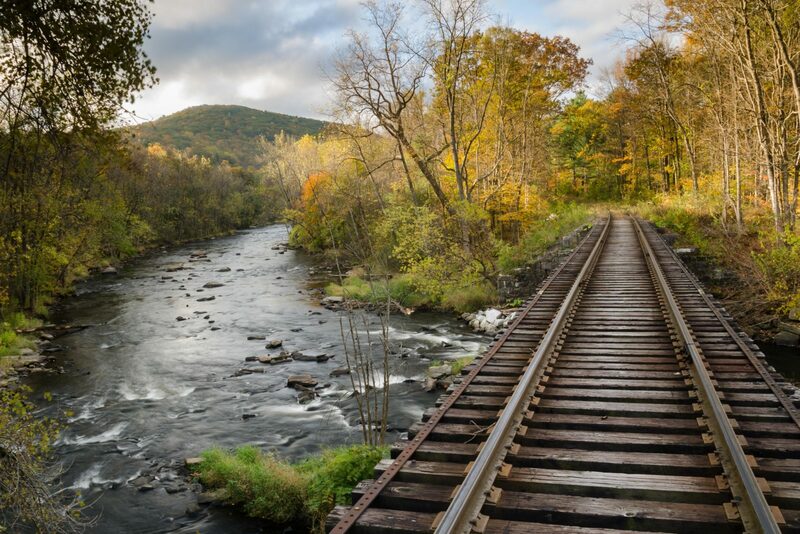 All of the sudden the clouds broke and the sun light up the last of the fall foliage at the end of the tracks. The light lasted about 5 minutes and then the clouds burned off.